So, once again I set out to try another Everday Italian recipe. This time it was a simple italian snack called a Baked Caprese Salad and surprisingly it’s not a salad, it’s more like bruschetta. 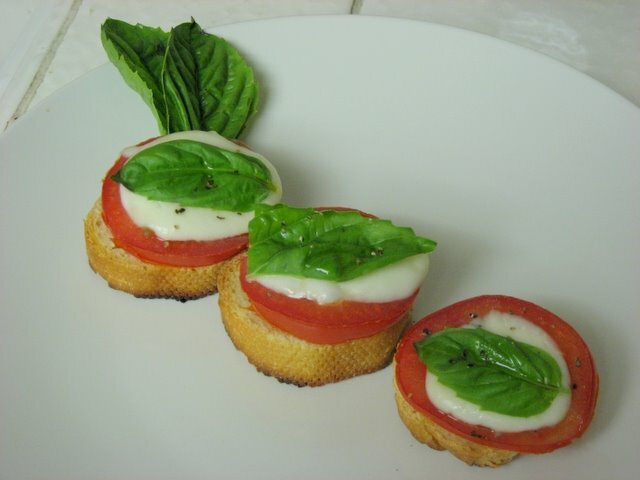 This “salad” was very easy to make and if you like mozarella cheese, basil, tomato, and bread then you’re set!